Clean, modern letterpress wedding invitations for an event in a contemporary art space in Hudson, New York. 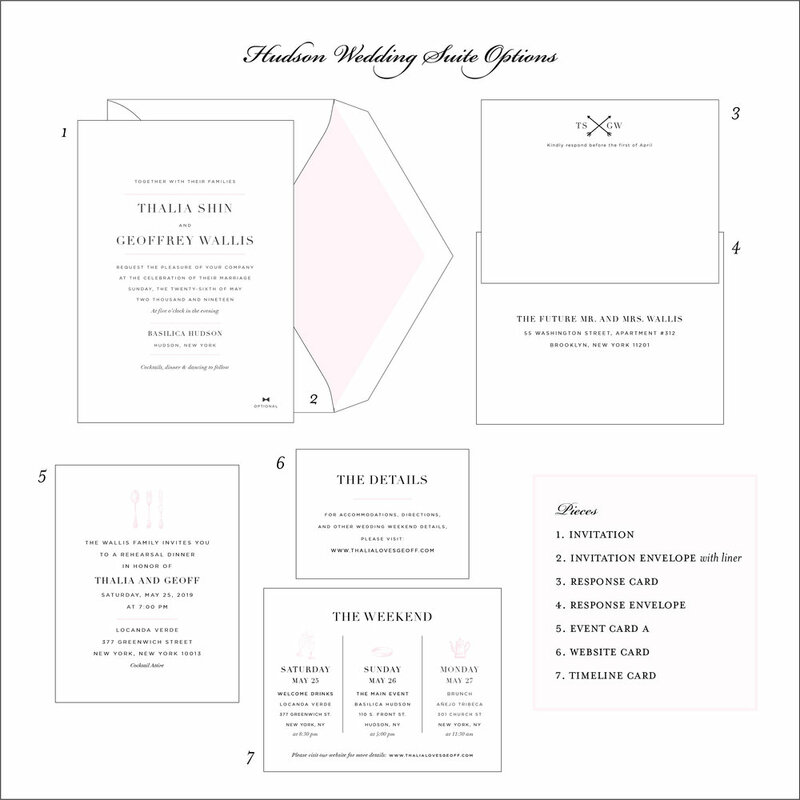 Rich, black type and soft pink lines are the feature of this wedding invite. This letterpress wedding invitation was first designed for a very clean and modern affair. The wedding venue, Basilica Hudson, is a 19th Century factory building converted into a contemporary arts space along the Hudson River. Crisp, black type with a hint of a pale pink always looks beautiful in letterpress.